There is a common misconception about DJs, that they don’t have any musical talent. The can’t play any instruments and they can’t sing. Actually, this is probably not that big of a misconception. This is true for a lot of DJs. In fact, I would say, a lot of people who really want to get into music, but have no talent whatsoever, end up becoming DJs. Obviously, not all DJs fit into this grouping. Many of them do have musical talent. But because they became DJs, they never really fostered it. That is a shame. I think as DJs, if at all possible, we should learn to play at least one instrument and perhaps also learn to sing. Playing an instrument helps with music production, but singing probably provides the best benefit of all. Nothing helps you get in tune with your musical abilities more than learning to sing. It has a ton of other benefits to, from confidence to breathing, to posture, etc. It will also help make your DJing a lot better, but we’ll get to that in a minute. First, the big question is how do you learn how to sing. Singing teachers can be expensive and if there are no good ones in an area, then you would have to hire one over the Internet, which takes away some of the benefits of having a teacher. There are also a lot of courses that cost a few hundred dollars. These are generally pretty comprehensive and can take you quite far. But when you’re first starting, you do not you need to spend any money. You can find a website like this one that provides free vocal training and has a ton of tips and techniques to help you improve your voice. This is a great way to learn to sing, if you are a beginner. It will take you out of the beginner stages. After that, it makes more sense to hire someone. If you want to really get good as a singer, you will eventually need a live teacher. It could be a live teacher over Skype, but even better if it’s a teacher in person. There are so many of these available, including teachers who have taught quite a few famous singers. 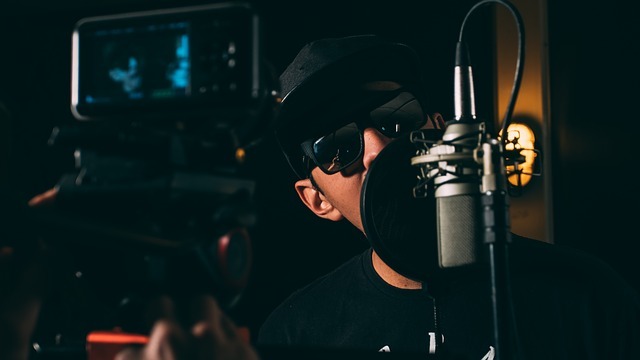 Once your voice is a bit better, you can actually use it in your music production and sing on your own tracks like these famous DJs. You probably do not want to sing complete tunes, but you can add some hooks and such into your music. You can even incorporate singing into your live sets, if you don’t suffer from stage fright. A lot of people don’t like to sing to an audience, but if this does not bother you, it would be great to add some singing to your DJing. This is especially true if you are a female. People just love female voices set to electronic dance music. Whether you’ve got any music ability or not, you can learn to sing and you should. It doesn’t really take that much time for the initial improvement jump. That comes quite quickly. Once you’ve gotten that, go ahead and stop. That’s all you really need as a DJ. You just want a basic singing ability; one that puts you above most people, but not in line with professional singers. As a DJ, this will help you out in your career. Trust me.